The Schneider Optics 21-1070074 Xenon Emerald V-Mount Lens (50mm, f/2.2) is a low-distortion lens with an image circle diameter of 50mm.This lens is compact, robust, and lockable in distance and aperture. 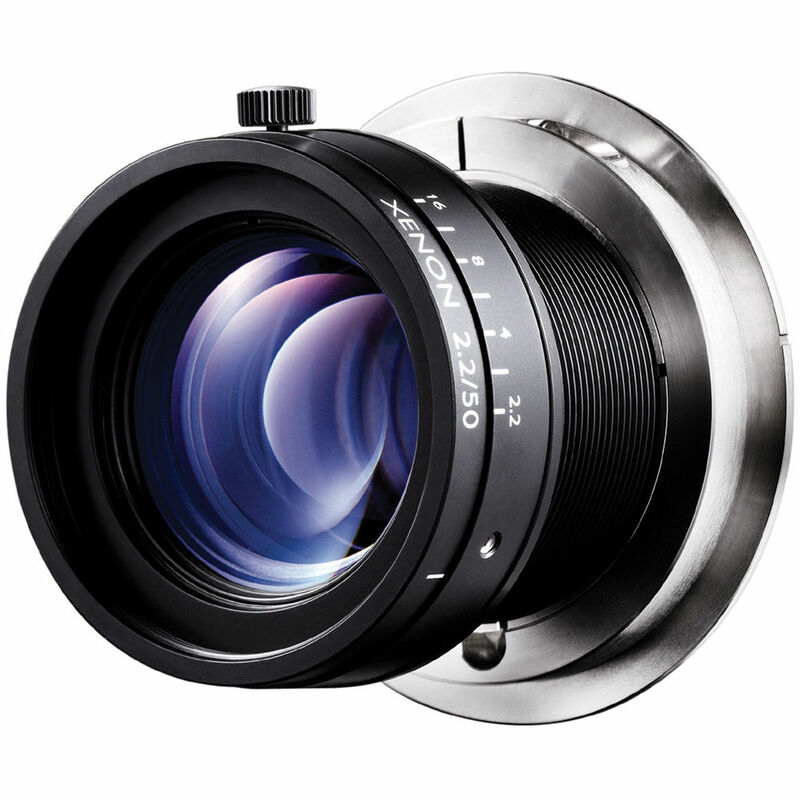 It is designed for close-up range or infinity, and is optimized for uniform image quality over the whole sensor area. The 400 to 1,000 nm broadband coating makes it suitable for applications in the visible and near-infrared spectrums. This Canon-mount lens can be used for a wide range of applications such as machine vision, quality control, and web inspection.